Maryland.gov was selected as a 2018 Summit International Emerging Media Leader Award winner in the Government Website category. The Summit Emerging Media Awards (Summit EMA) recognize and celebrate creativity, innovation and those pushing the bounds of creative excellence in all forms of emerging media. The Summit EMA offers recognition for introducing new methods, directing and helping to set the pace for emerging media, and demonstrating excellence on the web, through apps, videos, mobile sites and social media. The Maryland Business Express & Chatbot Portal was awarded the 2018 Summit Emerging Media Innovator Award in the Government Website category. The award recognizes and celebrates creativity, innovation and those pushing the bounds of excellence in all forms of emerging and digital media. 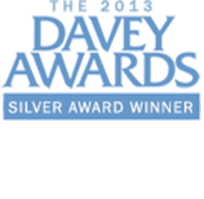 Maryland.gov has been awarded a 2018 Silver Davey Award in the Government Website category. With 3,000 entries from across the US and around the world, the Davey Awards honors the finest creative work from the best small agencies, firms and companies worldwide. The Maryland Department of Natural Resources (DNR) AccessDNR Fishing Report Alexa Skill was honored with a 2018 Silver Davey Award in the Experiential & Immersive-Live Experiences category. This award honors the finest creative work in the US and around the world. The Maryland.gov website has received a 2018 MarCom Award Honorable Mention in the Government Website Category. Sponsored and judged by the Association of Marketing and Communication Professionals, this award recognizes outstanding achievement by creative professionals. The Maryland.gov website has received a 2018 MarCom Award Honorable Mention in the Mobile Website Category. Sponsored and judged by the Association of Marketing and Communication Professionals, this award recognizes outstanding achievement by creative professionals involved in the concept, direction, design and production of marketing and communication channels. 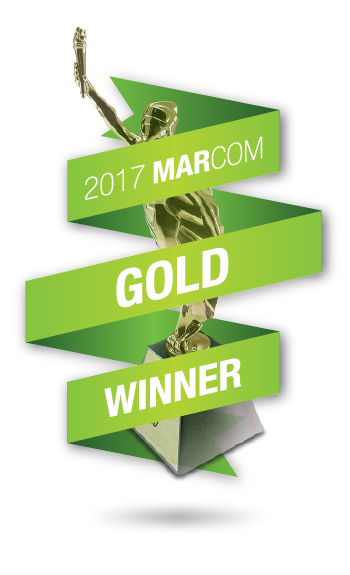 The Maryland State Department of Assessments and Taxtion has received a Gold 2018 MarCom Award in the Mobile Website Category. Sponsored and judged by the Association of Marketing and Communication Professionals, this award recognizes outstanding achievement by creative professionals involved in the concept, direction, design and production of marketing and communication channels. 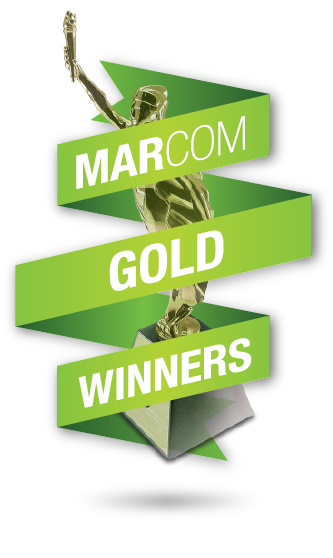 The Maryland State Department of Assessments and Taxtion has received a Gold 2018 MarCom Award in the Portal Category. Sponsored and judged by the Association of Marketing and Communication Professionals, this award recognizes outstanding achievement by creative professionals involved in the concept, direction, design and production of marketing and communication channels. The Center for Digital Government recently awarded AccessDNR mobile and Apple Watch app with the Government to Citizen Project Experience Award. This native mobile app provides hunters, anglers, boaters, and other outdoor enthusiasts with the latest Maryland outdoor recreation information, news and alerts right at their fingertips. Maryland was the first state to publish an Apple Watch app for government. The mobile app boasts innovative uses of geolocation, including a feature that alerts boaters of speed limits and zones on state waterways. AccessDNR also introduced its first Alexa skill with the DNR's Fishing Reports. This Alexa skill allows the user to hear the entire fishing report or may select one of the five major fishing regions in the state. The Center for Digital Government recently awarded Maryland Business Express (MBE) with the Government to Business Project Experience Award. MBE is an award winning, multi-agency business-centric platform. This next-generation platform offers aggregated content across Maryland state agencies and is the go-to location for small business owners and aspiring entrepreneurs to locate information and relevant online services necessary to plan, start, manage and grow their business. The portal also points entrepreneurs and other business customers to online business services to quickly and easily complete and submit information required to register a business and trade name, manage legal entities, establish tax accounts, manage and maintain professional licenses, and electronically file many state and county licenses. The Center for Digital Government recently awarded an Innovation Award for the State's Enterprise Widget Framework (EWF) API Library. The Widget Framework provides state agencies with centralized and standardized code, allowing for rapid development and deployment of a variety of widgets. The widgets deliver unified branding and are available to all agencies. Widgets include NearYou, Online Services, standardized Header, Google translate and Google Site Search. The Maryland.gov communications platform was honored by the Center for Digital Government with second-place in the Overall State Government Experience Awards. Maryland's award-winning platform embraces personalization and takes a user-centric approach for creating direct engagement with citizens via the web, smartphones, wearbles, live chat, chatbots and voice assistants.. The Maryland Business Express platform has been honored with the Government Standard of Excellence by the WebAward program. The WebAward program is the longest running annual website award competition dedicated to naming the best websites in 96 industries while setting the standard of excellence for all website development. Maryland.gov, the State's Official Website, was named the 2018 Best Government Website award by WebAward. The WebAward program is the longest running annual website award competition dedicated to naming the best websites in 96 industries while setting the standard of excellence for all website development. Maryland.gov, the State's Official Website, has received a 2018 Silver Award of Distinction by the Communicator Awards. The Communicator Awards is overseen by the Academy of Interactive and Visual Arts (AIVA) as a leading international awards program recognizing big ideas in marketing and communications. Maryland Department of Health Controlled Dangerous Substance Registration Renewal Portal, has received a 2018 Silver Award of Distinction by the Communicator Awards. With entries received from across the US and around the world, the Communicator Awards is the largest and most competitive awards program honoring creative excellence for communications professionals. Maryland.gov has been honored by the Hermes Creative Awards with a 2018 Gold Award in the government website category. 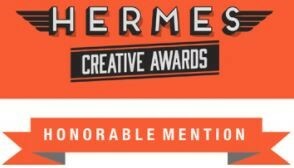 Hermes Creative Awards is an international competition for creative professionals involved in the concept, writing and design of traditional and emerging media. The award is administered and judged by the Association of Marketing and Communication Professionals, and with over 6,000 entries, it truly honors the outstanding work of our Maryland.gov team. The next generation Maryland Business Express Portal has been honored by the Hermes Creative Awards with a 2018 Gold Award in the government website category. Hermes Creative Awards is an international competition for creative professionals involved in the concept, writing and design of traditional and emerging media. The award is administered and judged by the Association of Marketing and Communication Professionals, and with over 6,000 entries, it truly honors the outstanding work of our Maryland Business Express team. Maryland Department of Natural Resources official mobile application AccessDNR has been honored by the Hermes Creative Awards with a Honorable Mention in the mobile information experience category. 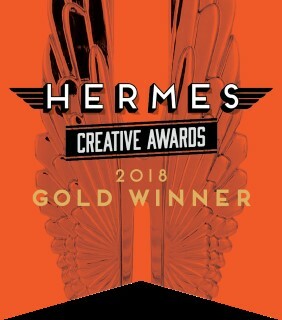 Hermes Creative Awards is an international competition for creative professionals involved in the concept, writing and design of traditional and emerging media, judged by the Association of Marketing and Communication Professionals. Maryland State Department of Assessments and Taxation has received Innovation of the Year honors in this year’s StateScoop 50 Awards for their Maryland Business Express Resource website & Chatbot . StateScoop 50 recognizes programs and individuals for their achievements and contributions to the state and local government IT community. Maryland’s award-winning website, www.Maryland.gov, recently earned a Gold Horizon Interactive Award in the Government Website category. The Horizon Interactive Awards is a prestigious international competition recognizing outstanding achievement among interactive media producers. 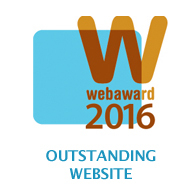 The competition recognizes and awards the best web sites, videos, online advertising, print media and mobile applications. AccessDNR has recently been honored by Horizon Interactive Awards with a 2017 Bronze Award in the mobile utility category. The Horizon Interactive Awards is a prestigious international competition recognizing outstanding achievement among interactive media producers from all over the world. The 2017 competition saw over 1000 entries from around the world including 36 out of 50 US States and 16 countries. Maryland Department of Agriculture State Chemist Registration Portal has been honored by Horizon Interactive Awards with a Bronze Award in the government web services category. The Horizon Interactive Awards is a prestigious international competition recognizing outstanding achievement among interactive media producers from all over the world. The 2017 competition saw over 1000 entries from around the world including 36 out of 50 US States and 16 countries. 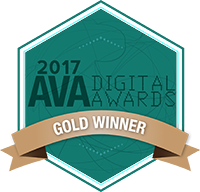 Maryland’s award-winning website, www.Maryland.gov, recently earned a Gold AVA Digital Media Award in the Government Website category. This honor recognizes that Maryland.gov has contributed to the evolution of digital media and incorporated interactivity in the website design to better serve the citizens in the state of Maryland. 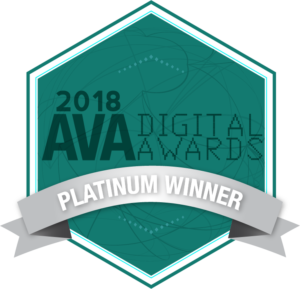 AccessDNR has recently been honored by AVA Digital Awards with a 2018 Platinum Award in the apps for information experience category. This is the highest level of recognition offered by the AVA Digital Awards, an international competition that recognizes outstanding work by creative professionals involved in the concept, direction, design and production of media that is part of the evolution of digital communication. 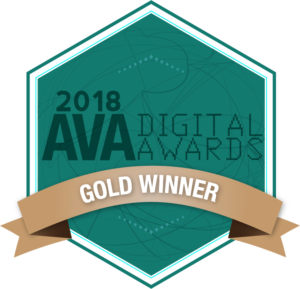 Maryland Department of Agriculture State Chemist Registration Portal has been honored by AVA Digital Awards with an Honorable Mention in the government web services category. The AVA Digital Awards, an international competition that recognizes outstanding work by creative professionals involved in the concept, direction, design and production of media that is part of the evolution of digital communication. The Maryland Department of Transportation Motor Vehicle Administration (MDOT MVA) School Bus Mobile Safety Inspection application was honored with a 2017 Silver Davey Award in the Government category. This award honors the finest creative work in the US and around the world. Maryland.gov has been awarded a 2017 Silver Davey Award in the Government Website category. With nearly 4,000 entries from across the US and around the world, the Davey Awards honors the finest creative work from the best small agencies, firms and companies worldwide. The Maryland.gov website was selected as a Silver Award Winner by the International Academy of the Visual Arts out of 5,000 entries from top companies and agencies worldwide. The Maryland.gov website has been honored with a 2017 Gold MarCom Award in the Government Website Category. Sponsored and judged by the Association of Marketing and Communication Professionals, this award recognizes outstanding achievement by creative professionals involved in the concept, direction, design and production of marketing and communication channels. The Maryland.gov website was recognized as an Outstanding Website in the Government Category by the Web Marketing Association’s WebAward. 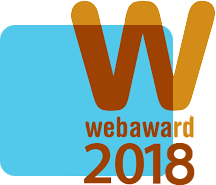 The WebAward program is the longest running annual website award competition dedicated to naming the best websites in 96 industries while setting the standard of excellence for all website development. The Maryland Department of Transportation Motor Vehicle Administration (MDOT MVA) School Bus Mobile Safety Inspection application was honored with the IMA Outstanding Achievement Award in the Government category. This is the second highest honor bestowed in the Interactive Media Awards competition and a very challenging award to win. This award represents the very best in planning, execution and overall professionalism. Maryland.gov, the State’s Official Website, was recognized by the Interactive Media Awards as 2017 Best in Class in the Government website category. The Best in Class distinction is the highest honor bestowed by the IMA’s and represents the very best in planning, execution and overall professionalism. 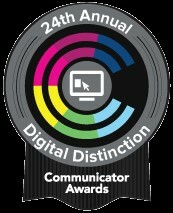 Maryland.gov, the State's Official Website, has received a 2017 Silver Award of Distinction by the Communicator Awards. The Communicator Awards is the leading international awards program recognizing big ideas in marketing and communications. Maryland State Department of Assessments and Taxation has received Innovation of the Year honors in this year’s StateScoop 50 Awards for their Uniform Commercial Code Services Suite. 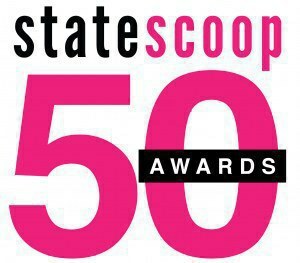 StateScoop 50 recognizes programs and individuals for their achievements and contributions to the state and local government IT community. The Maryland Department of Transportation Motor Vehicle Administration (MDOT MVA) mobile driving test app, has been recognized as a Gold Winner by the Horizon Interactive Awards in the Apps for Education category. The Horizon Interactive Awards is a prestigious international competition recognizing outstanding achievement among interactive media producers. The competition recognizes and awards the best web sites, videos, online advertising, print media and mobile applications. 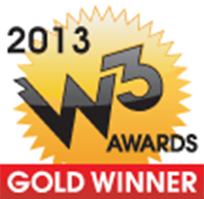 Maryland.gov, the State's Official Website, has received a Gold Horizon Interactive Award. The Horizon Interactive Awards is a prestigious international competition recognizing outstanding achievement among interactive media producers. The competition recognizes and awards the best web sites, videos, online advertising, print media and mobile applications. 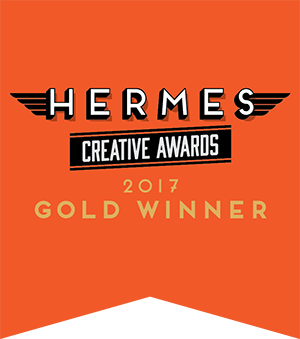 Maryland.gov has won a 2017 Gold Hermes Creative Award. Hermes Creative Awards is an international competition for creative professionals involved in the concept, writing and design of traditional and emerging media. The award recognizes outstanding work in the industry while promoting the philanthropic nature of marketing and communication professionals. Maryland.gov has been awarded a 2016 Gold Davey Award in the Government Websites category. With nearly 4,000 entries from across the US and around the world, the Davey Awards honors the finest creative work from the best small agencies, firms, and companies worldwide. The Maryland.gov website was honored with a 2016 Gold MarCom Award for the Government Website Category. The MarCom Awards is an international creative competition that recognizes outstanding achievement by marketing and communications professionals. The AccessDNR mobile app was honored with a 2016 Platinum MarCom Award for the Mobile App for Information Category. The MarCom Awards is an international creative competition that recognizes outstanding achievement by marketing and communications professionals. The Maryland.gov website was selected as a Silver Award Winner by the International Academy of the Visual Arts out of over 4,000 entries from top companies and agencies worldwide. The MVA Driver Practice Test Mobile App was selected as a Silver Award Winner by the International Academy of the Visual Arts out of over 4,000 entries from top companies and agencies worldwide. Maryland.gov, the State’s Official Website, was recognized by the Interactive Media Awards as 2016 Best in Class in the Government website category. The Best in Class distinction is the highest honor bestowed by the IMA’s and represents the very best in planning, execution and overall professionalism. For the first time in state history, Maryland’s award-winning website, www.Maryland.gov, was named the best state government website in the country as part of the Center for Digital Government’s prestigious Best of Web competition. Maryland Business Express has been recognized by the Center for Digital Government with a prestigious Digital Government Achievement Award (DGAA) in the Government-to-Business category highlighting next-generation, best-of-breed digital government solutions. Maryland.gov, the State's Official Website, has received a 2016 Silver Award of Distinction by the Communicator Awards. The Communicator Awards is the leading international awards program recognizing big ideas in marketing and communications. The Maryland Department of Natural Resources, AccessDNR app, has received a 2016 Silver Award of Distinction by the Communicator Awards. The Communicator Awards is the leading international awards program recognizing big ideas in marketing and communications. The Maryland Department of Natural Resources has received Innovation of the Year honors in this year’s StateScoop 50 Awards for their AccessDNR app. StateScoop 50 recognizes programs and individuals for their achievements and contributions to the state & local government IT community. Maryland.gov was selected as a 2015 Silver Award winner for its creative and engaging design. The international Davey Awards honor extraordinary creative work from the top small firms around the globe. Maryland’s award winning official state website, www.Maryland.gov, was recognized as a finalist in Government Technology and e.Republic’s Center for Digital Government’s prestigious Best of the Web Award competition. Maryland.gov, the State's Official Website, received a 2015 Best in Class Award in the Government website category from the Interactive Media Awards. 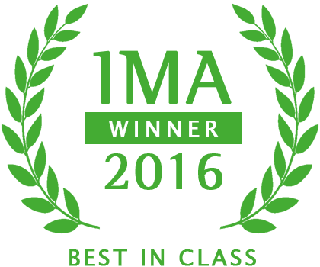 The Best in Class distinction is the highest honor bestowed by the IMAs and represents the very best in planning, execution and overall professionalism. Maryland.gov, the State's Official Website, has received a 2015 Silver Summit Creative Award for innovative and creative concepts, strong executions and the ability to communicate and persuade. The Summit Creative Award (SCA) recognizes and celebrates the creative achievements of small and medium sized advertising agencies worldwide. 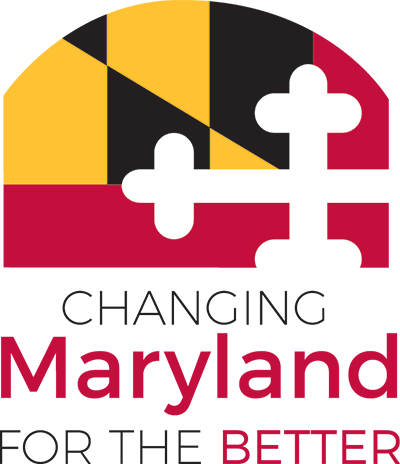 NIC Maryland, the State of Maryland's eGov Services Partner, has earned the prestigious Best Fit Integrator Award by eRepublic's Center for Digital Government. 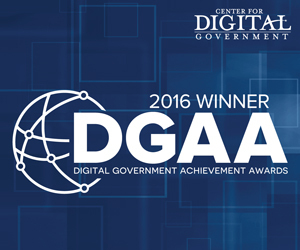 The award honors private-sector technology partners that tailor solutions to meet the unique needs of government. NIC Maryland was nominated for the Collaboration Award by the Maryland Department of Business & Economic Development (DBED) for their role in developing the Central Business Licensing & Registration Portal (CBL) that has reduced the business registration process from 10 weeks to one business day. The Maryland Department of Assessments & Taxation (SDAT) received a 2015 Merit Award from the International Association of Commercial Administrators (IACA) for their commitment to streamlining processes and making government operations more efficient for business owners with the implementation of Maryland’s Central Business Licensing and Registration Portal. Maryland.gov, the State's Official Website, has received a 2015 Gold Award of Excellence by the Communicator Awards. The Communicator Awards is the leading international awards program recognizing big ideas in marketing and communications. The Maryland State Police has received Innovation of the Year honors in this year’s StateScoop 50 Awards for their Vehicle Safety Inspection Service. StateScoop 50 recognizes programs and individuals for their achievements and contributions to the state & local government IT community. The Central Business Licensing & Registration Portal has received Innovation of the Year honors in this year’s StateScoop 50 Awards. StateScoop 50 recognizes programs and individuals for their achievements and contributions to the state & local government IT community. The AccessDNR mobile app was honored with a 2014 Gold MarCom Award for the Mobile App Category. The MarCom Awards is an international creative competition that recognizes outstanding achievement by marketing and communications professionals. 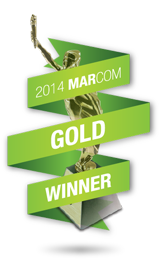 Maryland.gov was honored with a 2014 Gold MarCom Award for the Mobile Website Category. The MarCom Awards is an international creative competition that recognizes outstanding achievement by marketing and communications professionals. Maryland.gov was selected as a 2014 Silver Award winner for its creative and engaging design. The international Davey Awards honor extraordinary creative work from the top small firms around the globe. Maryland’s award winning official state website, www.Maryland.gov, has been repeatedly recognized as a top government website and was recently honored by Government Technology and e.Republic’s Center for Digital Government’s prestigious Best of the Web Award competition. In this year’s competition, the Maryland.gov website was ranked among the top five best state websites in the country. The Maryland.gov Features Video was selected as a Silver Award Winner by the International Academy of the Visual Arts out of over 4,000 entries from top companies and agencies worldwide. 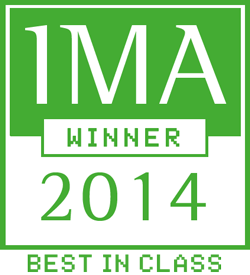 Maryland.gov received a Best in Class Award in the Government category from the Interactive Media Awards. 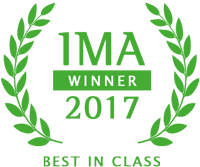 The Best in Class distinction is the highest honor bestowed by the IMAs and represents the very best in planning, execution and overall professionalism. The Maryland Motor Vehicle Administration (MVA) was recognized as the First Runner-Up in the Best Awareness/Educational Program for the GovMark Council 2014 Sam Awards. Maryland.gov received its second consecutive international VEMA Award for its creativity and innovation. The VEMA Awards recognize the outstanding work of innovative, artistic and creative professionals involved in the multimedia arts. 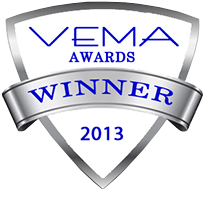 The MVA Driver Practice Test mobile app an international VEMA Award for its creativity and innovation. The VEMA Awards recognize the outstanding work of innovative, artistic and creative professionals involved in the multimedia arts. The MARYLAND Prepares Mobile App received an international VEMA Award for its creativity and innovation. The VEMA Awards recognize the outstanding work of innovative, artistic and creative professionals involved in the multimedia arts. The AccessDNR Mobile App received an international VEMA Award for its creativity and innovation. The VEMA Awards recognize the outstanding work of innovative, artistic and creative professionals involved in the multimedia arts. The Maryland Motor Vehicle Administration (MVA) has received Innovation of the Year honors in this year’s StateScoop 50 Awards for their Online Vision Certification Service (www.egov.maryland.gov/mva/vision). StateScoop 50 recognizes programs and individuals for their achievements and contributions to the state & local government IT community. MARYLAND Prepares, the Maryland Emergency Management Agency (MEMA) mobile preparedness app, has received a Silver Award of Distinction by the Communicator Awards. The Communicator Awards is the leading international awards program recognizing big ideas in marketing and communications. The Maryland Emergency Management Agency (MEMA) mobile preparedness app, MARYLAND Prepares, has been recognized as a Gold Winner by the Horizon Interactive Awards. The Horizon Interactive Awards is a prestigious international competition recognizing outstanding achievement among interactive media producers. The competition recognizes and awards the best web sites, videos, online advertising, print media and mobile applications. Maryland.gov, the State's Official Website, has received a Silver Horizon Interactive Award. The Horizon Interactive Awards is a prestigious international competition recognizing outstanding achievement among interactive media producers. The competition recognizes and awards the best web sites, videos, online advertising, print media and mobile applications. Maryland.gov was selected as a 2013 Summit International Emerging Media Award winner. The Summit Emerging Media Awards (Summit EMA) recognize and celebrate creativity, innovation and those pushing the bounds of creative excellence in all forms of emerging media. The Summit EMA offers recognition for introducing new methods, directing and helping to set the pace for emerging media, and demonstrating excellence on the web, through apps, videos, mobile sites and social media. Maryland.gov was honored with a 2013 MobileWeb Award for Outstanding Mobile Website. This award program recognizes the individual and team achievements of Web professionals all over the world who create and maintain the best mobile Websites and the best mobile applications. 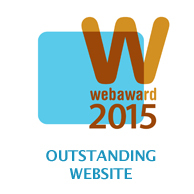 The MobileWebAwards are judged on seven criteria seen as requirements for a successful mobile website or mobile app. They include Creativity, Impact, Design, Content, Interactivity, Ease of use and Use of the medium. Maryland.gov was honored with a 2013 Gold MarCom Award for the Design (Web)/Website Redesign Category. The MarCom Awards is an international creative competition that recognizes outstanding achievement by marketing and communications professionals. These awards are judged by the Association of Marketing and Communication Professionals which consists of several thousand creative professionals. Maryland.gov was honored with a 2013 Gold MarCom Award for the Government Website Category. The MarCom Awards is an international creative competition that recognizes outstanding achievement by marketing and communications professionals. These awards are judged by the Association of Marketing and Communication Professionals which consists of several thousand creative professionals. Maryland.gov was honored with a 2013 Gold MarCom Award for the Mobile Website Category. The MarCom Awards is an international creative competition that recognizes outstanding achievement by marketing and communications professionals. These awards are judged by the Association of Marketing and Communication Professionals which consists of several thousand creative professionals. Maryland.gov was selected as a 2013 Silver Award winner for its creative and engaging design. The international Davey Awards honor extraordinary creative work from the top small firms around the globe. 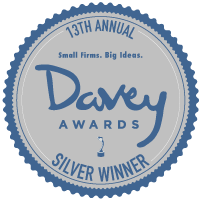 The Davey Awards exclusively honor the “Davids” of creativity, the finest small firms, agencies and companies in the world. David defeated the giant Goliath with a big idea and a little rock - the sort of thing small firms do each year. 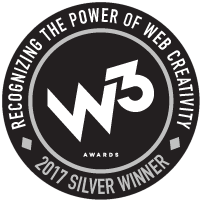 Maryland.gov was honored with a 2013 W3 Gold Award that honors creative excellence on the Web, and recognizes the creative and marketing professionals behind award winning Websites, Web Video and Online Marketing programs. The W3 is sanctioned and judged by the International Academy of the Visual Arts (IAVA), an invitation-only body consisting of top-tier professionals from a "Who's Who" of acclaimed media, interactive, advertising and marketing firms. 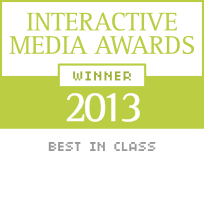 Maryland.gov has received a 2013 Best in Class Interactive Media Award from the Interactive Media Council, Inc. (IMC). The Interactive Media Awards recognize excellence in web design and development and the Best in Class Award is the highest honor bestowed by the council. Maryland.gov was honored with a 2013 Visual Excellence in the Multimedia Arts (VEMA) Award for its visual creativity and web innovation. The VEMA Award recognizes the creativity of visual artists across multiple disciplines from online video and film production to websites and mobile applications. The international VEMA Awards competition is judged by an invitation-only standards council of highly skilled professionals with expertise, leadership, and vision in various multimedia art disciplines.